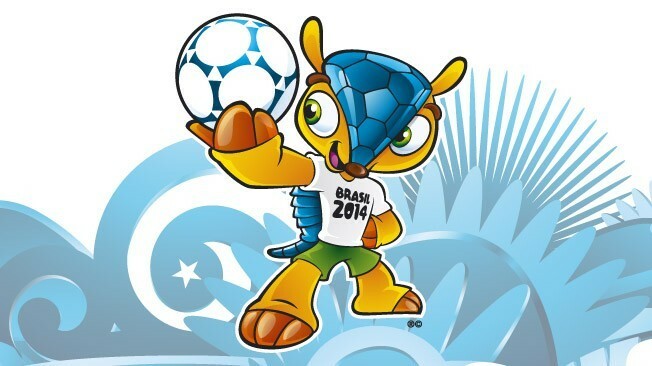 Brazilians have voted and picked a name of the mascot for the 2014 FIFA World Cup Soccer Games that will be held in Brazil. The name is ‘Fuleco’. It comes from combining two Portuguese words “futebol” (football) and “ecologia” (ecology). The mascot itself is based on a three banded armadillo, an endangered species of Brazil. A unique trait of the armadillo is that it can curl up like a soccer ball. Brazilians love soccer. Brazil has won the FIFA World Cup the most number of times (5). Portuguese is the official language of Brazil. Here is a video of how Fuleco was made.